The Large Canary Island Telescope is on the isle of La Palma at an altitude of 2396 metres. It was inaugurated in 2007, it was 90% financed by Spain. This giant telescope has a primary mirror composed of 36 hexagonal mirrors of a total collecting area of 75.7 square metres, or the equivalent of a spherical mirror 10.40 metres in diameter. The collected light is focused on a secondary mirror then sent to a third mirror which directs the beam to various analysis instruments: spectrographs and analysers in the visible and infrared spectra (Osiris, CanariCam, Elmer and Emir). The optical part has two optimisation systems: active optics (which optimally aligns the 3 mirrors taking into account the temperature, gravity and construction defects), and adaptive optics, a process in which atmospheric mixing is analysed several times per second, slightly deforming each hexagonal mirror in real time to correct the harmful effects of turbulence. 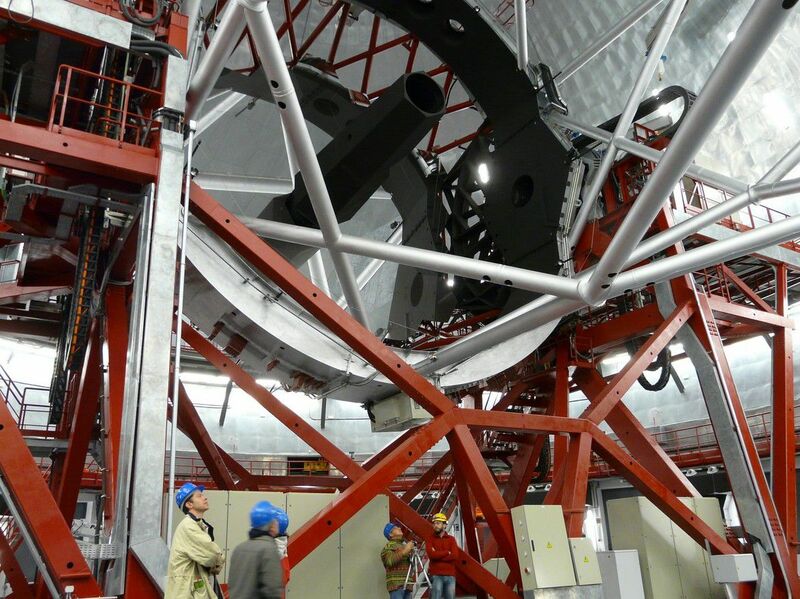 The whole telescope is supported by an azimuthal mount. The telescope is housed under a 32 metre air conditioned dome. Futura-Sciences invites you to visit the GTC photo gallery.